Now that we're in the midst of the holiday season, I've been busy sending out Christmas greeting cards by the dozens! I take my Christmas cards very seriously because they are an expression of thoughtfulness and good wishes to all of those people that are near and dear to me. Riley has also been busy as a bee drawing plenty of pictures of Santa, the elves and his reindeer. What do all of these projects have in common? The need for some top-notch writing utensils! Fortunately, Zebra Pen was there to lend a hand with an assortment of their gel pens and mechanical pencils. Keep reading to learn more! Sarasa Metallic Pens – The ideal gel pen to help add some sparkle to all of your holiday writing. Available in gold, silver and copper, these colored pens glide easily on light and dark paper and are perfect for decorating holiday crafts, cards and present tags. The Sarasa Metallic Pen’s smooth flowing gel ink is acid-free and guarantees a scratch-free writing experience. F-701 Steel Pen – A professional grade steel pen from the #1 Steel Pen company in America. Featuring designer stainless steel from tip to clip, the barrel is entirely made from stainless steel allowing it to withstand extreme conditions. Plus the easy-to-hold knurled metal grip provides writing stability. It’s a great gift for the men in your life for the office, tool box, car, and more. Sarasa Gel 10 Pack Assorted – Zebra’s #1 selling retractable gel pen boasts a soft rubber grip providing superb writing comfort and control. Its retractable tip distributes smooth flowing gel ink allowing for a scratch-free write. The translucent barrel provides ink color and supply visibility, now with ten ink colors to brighten up holiday cards. Cadoozles Mechanical Pencils 10 pack – Restock the New Year with these fun mechanical pencils for little ones. Not only will kids love the vibrant themes, but parents will love how practical they are. Makes for a great stocking stuffer! I can't tell you how nice it was using these top-quality writing supplies from Zebra Pen! I chose to use the F-701 steel ball point pen for addressing the envelopes of my Christmas cards and paying all of those holiday shopping bills. :tear: I have to say that this pen was extremely comfortable to use and glided across the page! The knurled grip made it also very easy to hold, even when my hands began to sweat after looking at my credit card bill! I also loved using the Sarasa Metallic Pens for writing inside my Christmas cards with. These pens work well on any kind of paper, both light and dark, and added an extra festive flair to all of my personal greetings! 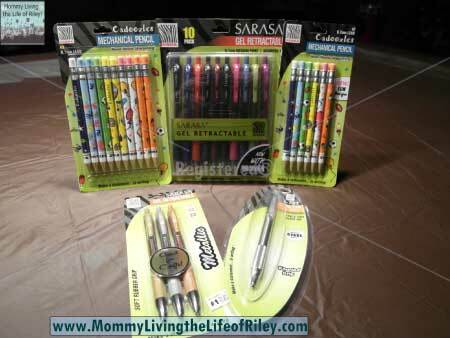 Of course, Riley couldn't get enough of the Sarasa Gel Retractable Assorted 10-Pack. All of those brilliant colors fascinated her and really released her inner artist. Her beautiful holiday pictures are now gracing many walls in our home. Finally, I think the Cadoozles Mechanical Pencils are some of the neatest writing utensils I've seen in years. They look just like a sharpened pencil! I couldn't get over how fun and cool these pencils were and would have loved to have a set of these when I was in school. If Riley were a little older and used pencils regularly, I would definitely buy these for her as a stocking stuffer. 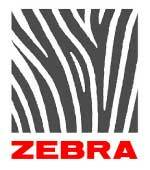 Zebra Pen products can be found nationwide at Staples, Office Max, Office Depot, Walmart, K-Mart, and other office supply stores, discount chains, food and drug retailers, stationery stores and wholesale clubs. Disclosure: I received an assortment of pens and pencils (shown above) from Zebra Pen in order to facilitate my review. No other compensation was received. This product review is based on my own personal experiences with this item and is completely honest and objective.